Join the Reach 3 Challenge! Identify and pray for three men who don’t yet know Christ. Use these business-sized cards to help you reach your friends, neighbors, relatives, or co-workers with the gospel. 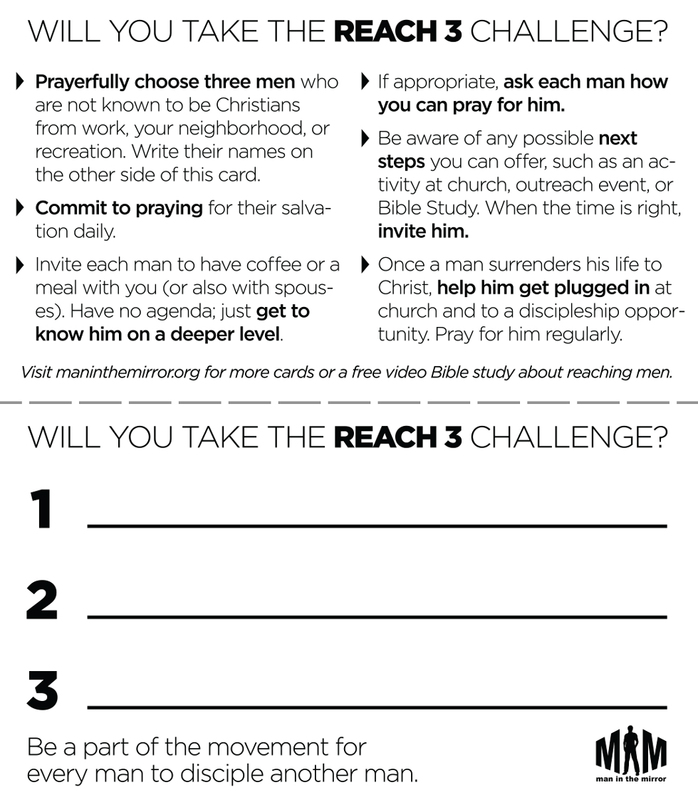 Also, use them to encourage others in your church and community to make the Reach 3 challenge a reality. Order your cards today!